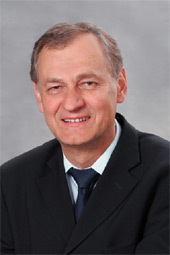 Prof Andrzej Kijko is the Director of the Natural Hazards Centre for Africa that is located within the premises of the University of Pretoria. As an internationally acclaimed researcher, he has been active in engineering geophysics and seismology for over 36 years. Professor Kijko’s interests and responsibilities have taken him around the world, giving him a wide range of experience from the various research posts and consulting positions he has held. More than a hundred of his publications have appeared in academic journals. Professor Kijko is the author of a book on statistical methods in engineering seismology and he has also co-authored a book on mining seismology. At present, he is working on a book on statistical methods in seismology, with special attention to engineering applications. This book was initiated and co-authored by the late Professor Keiiti Aki. Professor Kijko was also appointed onto the Editorial Board of Earth Science India in 2011. 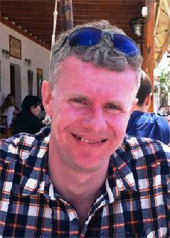 Professor Tom Coulthard is a professor of Physical Geography at the University of Hull, with a strong research pedigree in modelling environmental systems, specialising in distributed and cellular modelling of fluvial and landscape systems. His research interests are diverse, spanning from modelling the impacts of environmental change, metal contamination in river systems, and the impacts of vegetation on fluvial geomorphology. He is the originator of the CAESAR and CAESAR-Lisflood landscape evolution models and oversees the continuing development and application of these. He is a member of the important UK based NERC/EPSRC Flood Risk Management Research Consortium (FRMRC) parts 1 and 2, has held three NERC grants (GT4/95/147/F, GST/02/0758, NER/A/S/2001/00454), and has supervised four PDRAs and seven research students. He has written over 40 papers in leading journals including Geology and Water Resources Research. In 2005, he was awarded the Warwick award from the British Geomorphological Research Group and in 2008, the Vice Chancellors Prize from the University of Hull. Richard Austen is primarily a businessman with roots as an insurance and reinsurance expert. 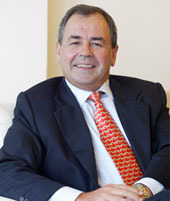 He started his career in Lloyd’s of London in 1972 working for the Lloyd’s broker Thompson Graham Ltd that later became Jardine Thompson Graham. He became actively involved in Asian reinsurance in 1974 and moved to Singapore in 1982 where he incorporated Singapore’s first regional specialist reinsurance broking business. Adopting Singapore and Asia as his home, Richard has travelled extensively in Asia in pursuit of delivering reinsurance and corporate solution to clients. He has served on many Industry committees and spoken at numerous reinsurance conferences. Over the past 3 decades of living in Singapore, Richard has helped incorporate and develop major regional insurance and reinsurance businesses, notably Jardine Lloyd Thompson, Arthur J, Gallagher, and Asia Reinsurance Brokers. Outside the Insurance world, he has developed businesses in software, property, distribution, and manufacturing. After surviving the 2004 Boxing Day Tsunami in Thailand, Richard was inspired to search for partners and collaborators to build Asia’s first catastrophe modelling firm Catalytics Pte Ltd, to be based on the principals of collaboration and quality and aimed at bringing affordable and user-friendly modelling into the hands of Asian corporations and institutions. Richard is Chairman of Asiare Holdings and the Reinsurance Brokers Association (Singapore), a judge for the Asia Insurance Awards (AIR), a member of the ASEAN Natural Disasters Research Works Sharing (ANDREWS) committee and a member of the organizing committee of the Singapore International Reinsurance Conference.